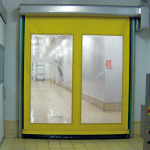 Rapid self-repairing roll-up doors are one step up from the old PVC stripes and folding doors, offering an improved and more efficient experience. 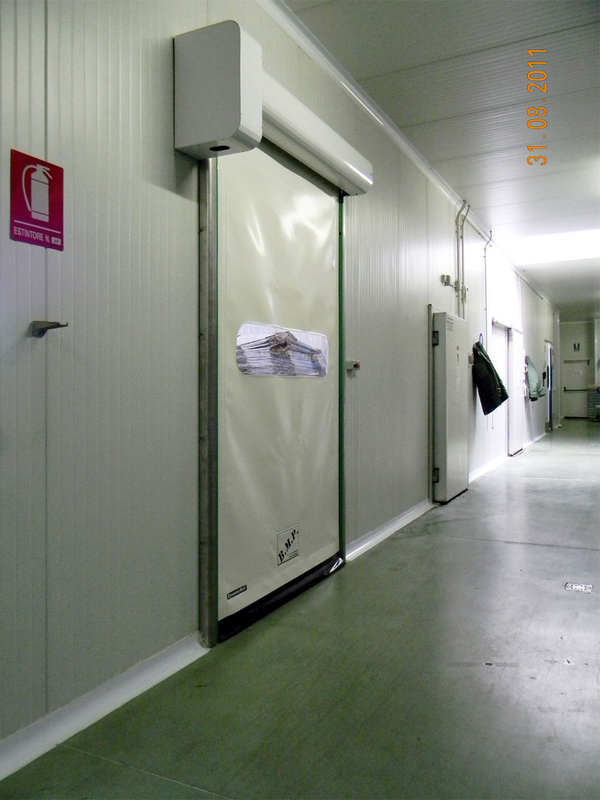 Our DYNAMICROLL® FOOD P.E. 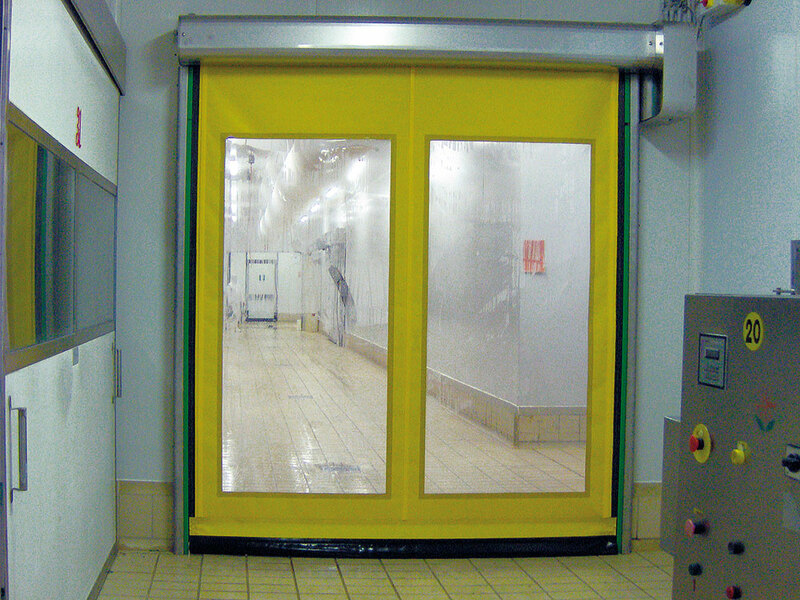 door is made from polizene and has been designed to comply with the regulatory hygiene requirements of companies operating in the food industry. 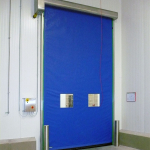 Are you looking for easy maintenance and high standards of cleanliness and hygiene? Then the Dyanmicroll® Food P.E. 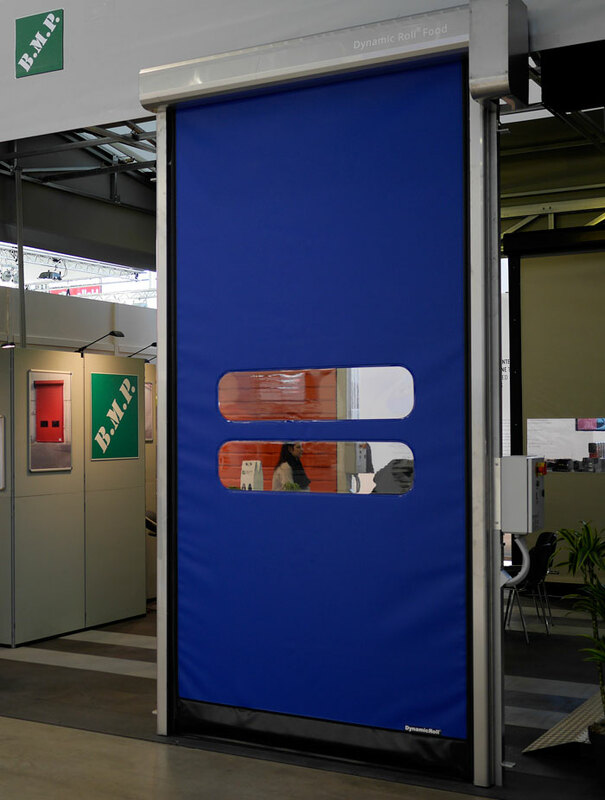 is the door for you. 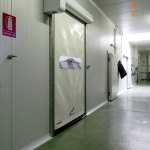 It’s exceptionally well suited to industrial environments with experimentation rooms that need to be kept clean and hygienic and it comes equipped with powerful engines that can open and close the door quickly, as well as an in-built security system for extra peace of mind. Our Dynamicroll Food P.E. 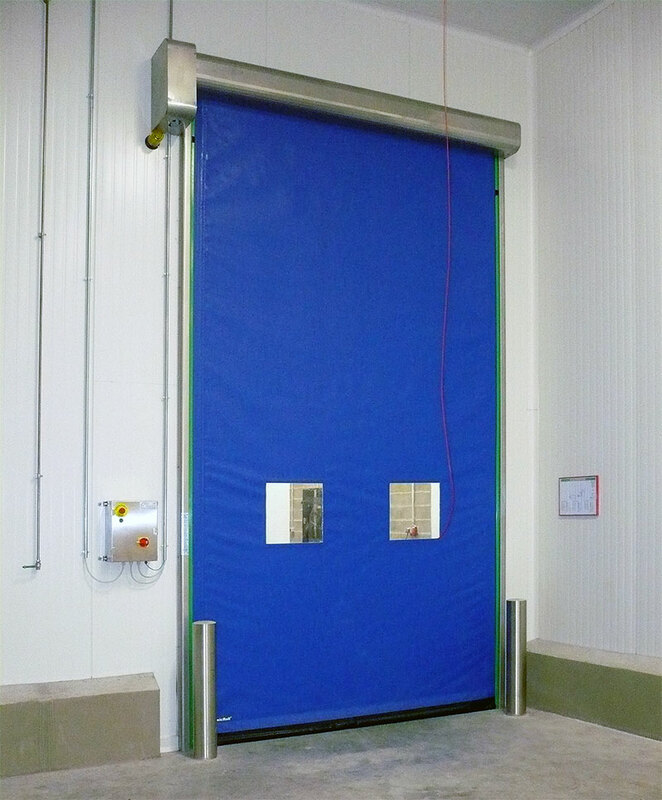 doors are suitable for frames up to 6000(w) x 5000(h) and come without rigid elements for easy indoor use. 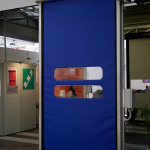 They are unique and one-of-a-kind, made with lateral uprights, and are completely chemical resistant.